Our meticulous attention to detail results in a quality reproduction National 6 Selection Candy Machine Delivery Tray. * Delivered "unfinished in raw steel" allowing for your restoration needs. 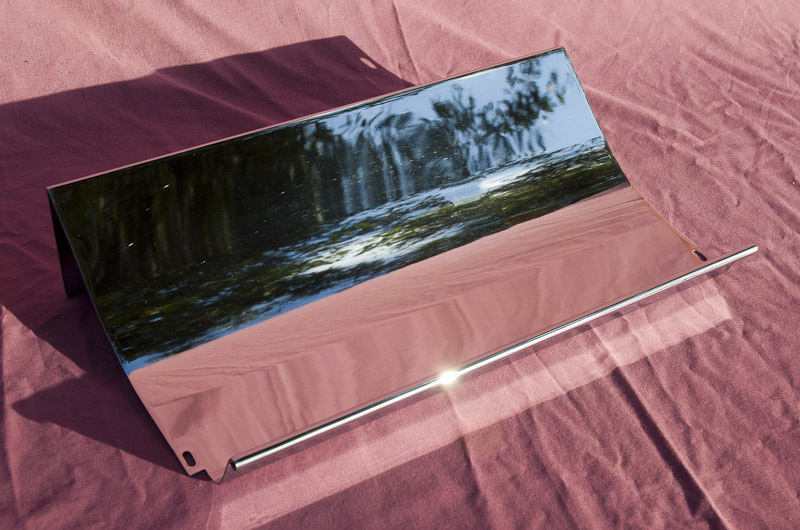 Originally, the delivery tray was chrome plated, but our reproduction tray can also be powder-coated or painted! Approx size: 14 3/4" wide. We do not have or reproduce End Caps for the Delivery Tray. Contact Us for availability of a Chrome-Plated Delivery Tray. With our Chrome-Plated Delivery Tray, attach your End Caps and Install! * PLEASE NOTE: The photo shows a Chrome-plated Delivery Tray; additional costs are applied if available, read above!